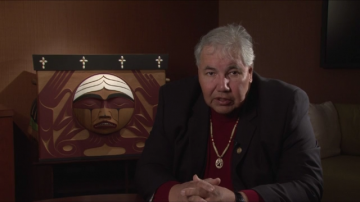 The National Film Board of Canada will be conducting an online workshop on October 17 for educators, “A Journey to Reconciliation: Understanding Canada’s Residential School System,” based on the film “We Were Children” by Tim Wolochatiuk. Click here to learn more. Click here to go to the film. 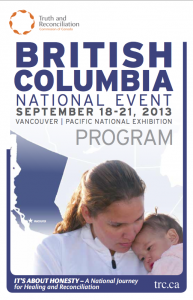 UBC will suspend most classes on September 18th so that the university community may more fully participate . . . See the Video . 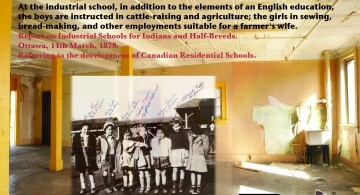 . .
Chief Robert Joseph entered an Indian residential school as a young child and is now a leader in rethnking that history . 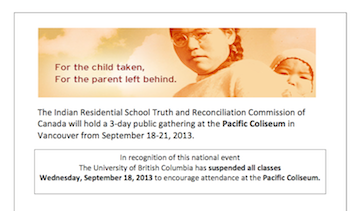 . .
A concise two page handout that has been created to inform UBC faculty about the TRC, the event on September 18th, and UBC’s suspension of classes on that day, and resources faculty might use in learning more and share with students.